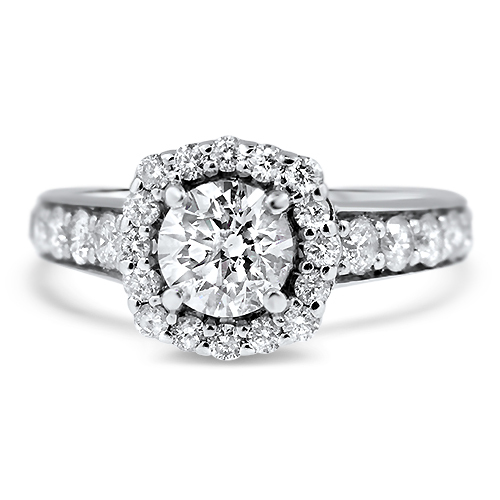 Three Stone Diamond Engagement Ring. 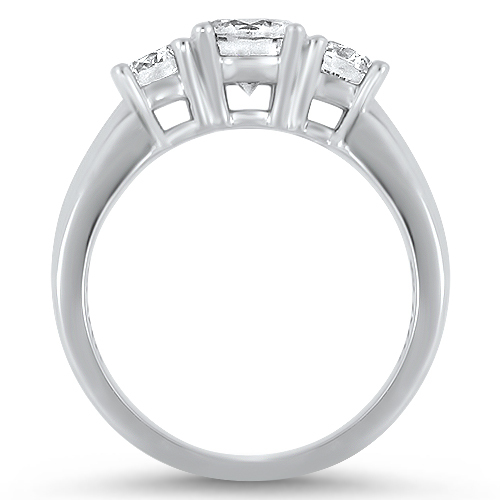 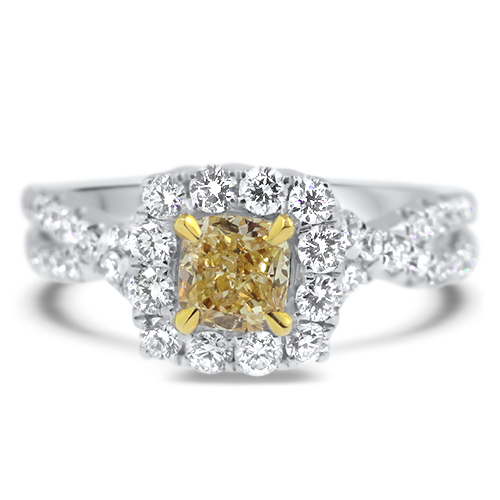 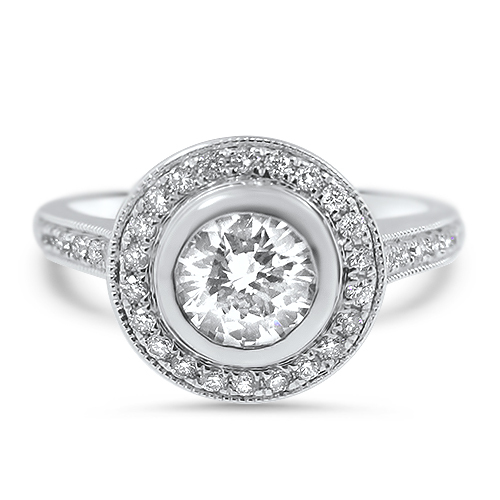 The ring features a 0.90ct round cut diamond prong set with 0.75cttw of round side diamonds. 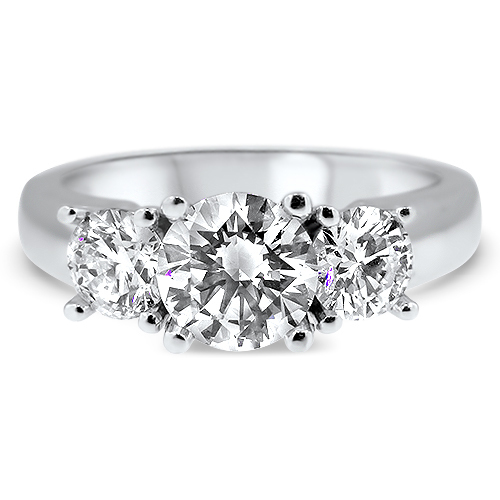 The diamonds are prong set in a simple and classic 14K White Gold mounting.